Stampin up Demonistrator Specializing in "Crafting Class To Go". Where you can make beautiful projects and cards on your schedule, shipped to your door. All class materials cut, scored and ready to assemble. Easy, peasy! Crafting has never been so quick and fun! 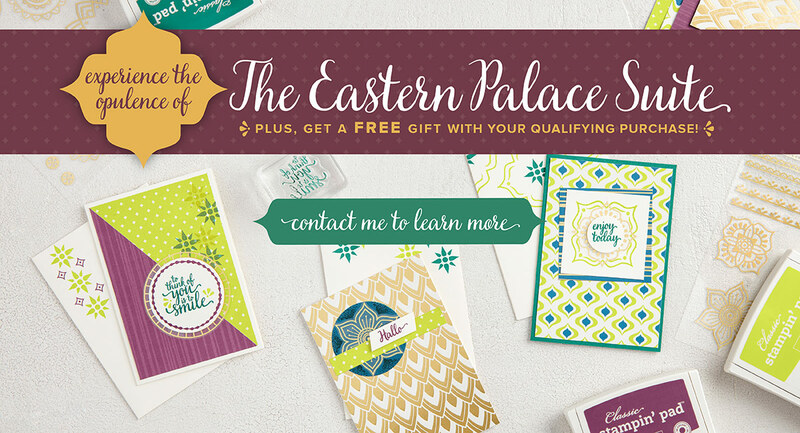 Have you seen the new Eastern Palace Suite from Stampin UP yet? And the great news is you can order these TODAY! They are a pre-order from our new catalogue for the 2017-2018 year which go live June 1, 2017! But you can order them now!!!! How awesome is that! Here are a few samples I made from this new set! These were so fun to make! 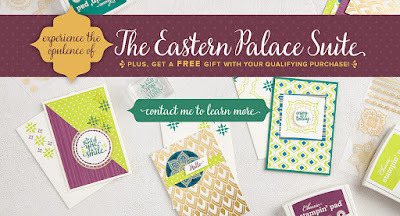 If you would like to order the Eastern Palace Suite, you can visit my Stampin UP site at MrsBscraftroom. Also if you place an order from the link above, please make sure you let me know you contact information, I will be giving everyone that orders the Eastern Palace Suite from me a FREE gift with your purchase, so I need to know who you are so I can send it to you. Thanks for stopping by and have a most wonderful day! I am a wife, work at home mom and grandmother. I am a craft a-holic that lives in St. Louis Missouri. I love all crafts and have tried my hand at most everything. During the day I work for a large IT company and at night I am crafting away.